The 400 series group of stainless steels has an 11 percent chromium and 1-percent manganese increase, above the 300 series group. The 400 series is susceptible to rust and corrosion under some conditions. Heat-treating will harden the 400 series. 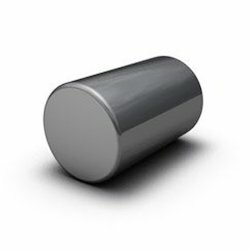 The 400 series of stainless steels have higher carbon content, giving it a martensitic crystalline structure. This provides high strength and high wear resistance. Martensitic stainless steels aren’t as corrosion resistant as the austenitic types. The 400 series includes both ferritic and martensitic steels. Ferritic steels:non-hardening steels, ideal for conditions in elevated temperatures. Typical applications for ferritic stainless steels include petrochemical, automotive exhaust systems, heat exchanges, furnaces, appliances and food equipment to name a few. Martensitic steels:able to be hardened, ideal for a wide variety of common uses.Martensitic stainless steels are used extensively in cutlery, sport knives and multi-purpose tools. Creating a niche of Stainless Steel Round Bars such as Stainless Steel Round Bar, Stainless Steel Round Bar 304, Stainless Steel Round Bar 304L, Stainless Steel Round Bar 316 L, Stainless Steel Round Bar 316 TI, Stainless Steel Round Bar 317L and many more items at its best, with utmost quality. 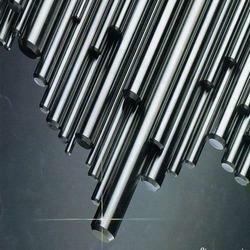 Solitaire Impex Stainless stocks a full range of stainless round bar from 1/16″ round thru 26″ in diameter. Nearly all grades of stainless steel are stocked in round bar, including 302, 303, 304/L, 304H, 309/S, 310/S, 316/L, 317/L, 321, 321/H, 347, 347H, 410, 416, 420, 440C, 17-4PH, Duplex 2205 and Alloy 20. Heat treated stainless round bars are stocked in 17-4PH, conditions H900 (available upon request), H1025, H1150 and Double H1150 and H1150M. Additional heat treated conditions can be produced upon request. In 400 series stainless, we stock 410HT and 416HT. We also stock Accuracy and Bearing Quality stainless round bar in 303, 304 & 316/L. Our Organization Holds Expertise In Offering High Grade Stainless Steel Round Bar To Our Esteemed Customers. Available With Us At Highly Affordable Market Prices, These Bars Are Known For Their Ability To Withstand High Temperature And Pressure. To Ensure High Standard Of Quality, These Bars Are Manufactured Using Sophisticated Machinery. We can offer a comprehensive range of ASTM A182 Alloy Steel Round Bars for the right technical solution. 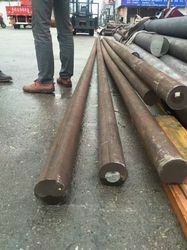 Soilitaire Impex & export wide selections of ASTM A182 Alloy Steel Round Bars, Alloy Steel Pipes ASTM A335/ASME SA335 P1, P2, P5, P5b, P5c, P9, P11 & ASTM A106 Grade B Carbon Steel Seamless Pipes at most attractive price as per customer requirements, we can also manufacture ASTM A182 Alloy Steel Round Bars in ASTM/ASME/ANSI grades as per our customer budget, we enjoy the reputation supplying ASTM A182 Alloy Steel Round Bars at cheapest in steel industries around the globe. 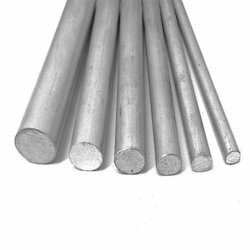 We supply all types of Stainless Steel 420 Round Bar.